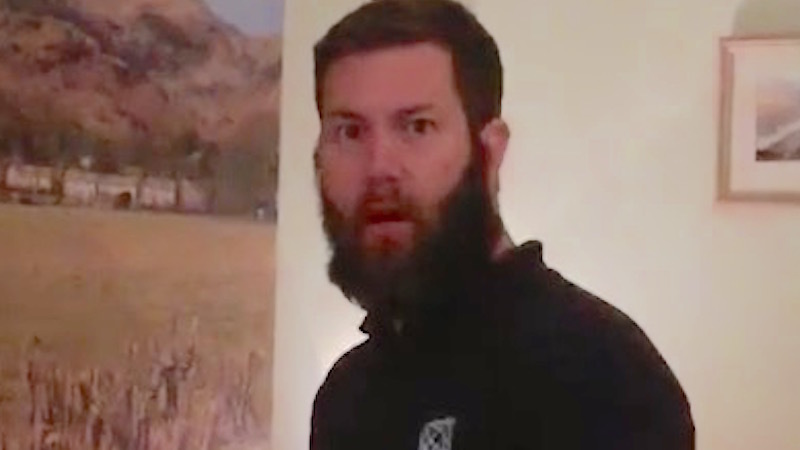 Wife surprises husband with news that she's pregnant, and he does a perfect quadruple take. When Beth Wilson told her husband that she was pregnant, she did so in a cutesy way: giving her husband a gift box labeled "Daddy" with a positive pregnancy test inside. Despite the obvious meaning of this, Jamie Wilson had trouble grasping the situation, and nearly gave himself whiplash when thinking it through. "Just doing a selfie," Beth told Jamie as he chattered on about a deer, or something else less interesting than his wife's pregnancy. According to Mashable, Jamie at first thought the gift was from their two-year-old son, which perhaps explains Jamie's initial confusion ("What does that mean? What? I'm confused. WHAT?"). Adding to his wonder is that it took two rounds of IVF to conceive their son, and the couple was ready to start a new round for their second child in a few days. Now they can save themselves that effort.